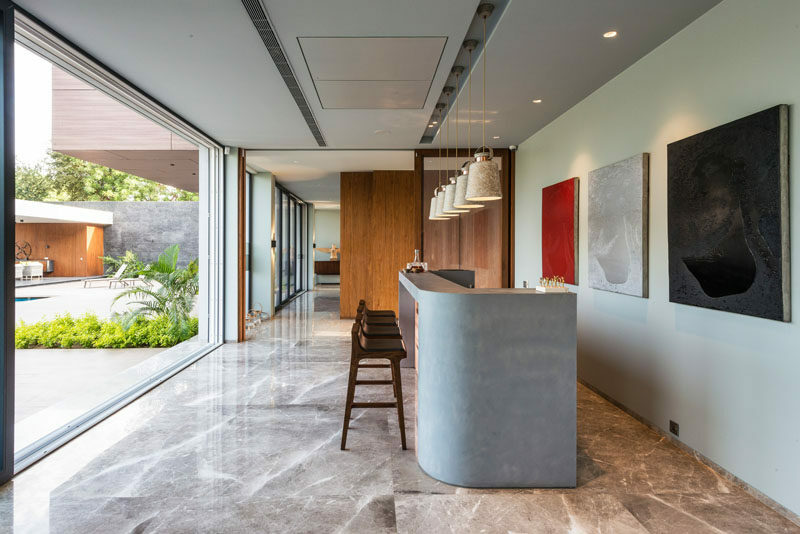 Atelier Design N Domain have recently completed the OHANA Residence in Vadodara, India, that attempts to maximize the use of natural light and creates a contemporary lifestyle for a family that likes to spend time together. 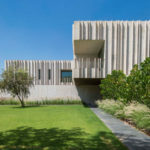 The entrance driveway and vehicular drop off is characterized by calibrated granite clad walls, while a large wood door welcomes visitors to the home. 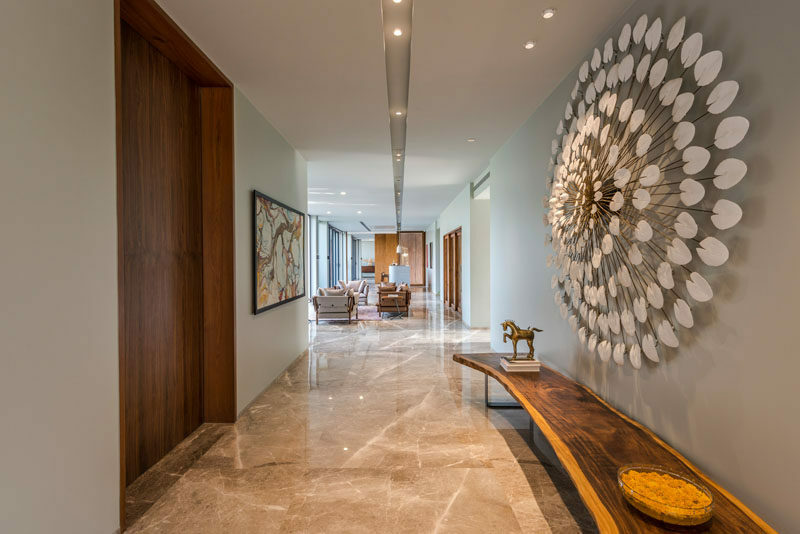 Inside, an entry hallway furnished with a live-edge bench and sculptural artwork, leads to the living room. 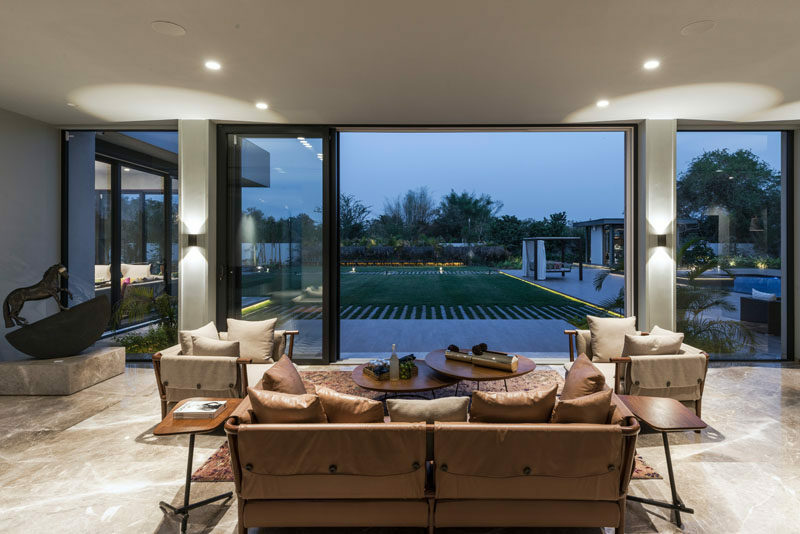 The living room has sliding glass walls that open up the interior to the backyard. 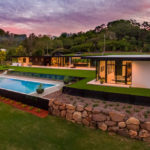 Outside, there’s a swimming pool with accent planters and a cabana. 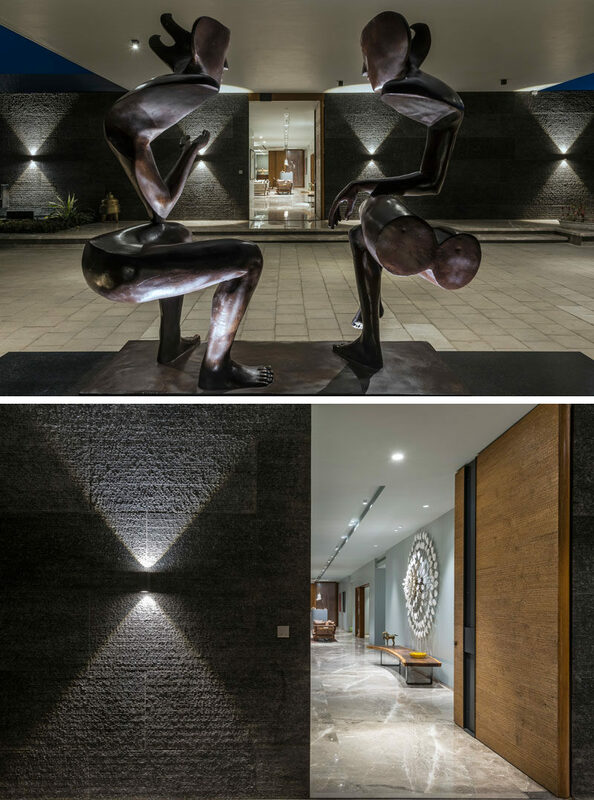 Hidden lighting has been used to create a luxurious atmosphere. Back inside and there’s a bar that’s finished in micro concrete and high sheen corrugated copper front. In the dining room, a large metallic chandelier hangs above a wooden dining table, while artwork brings in a touch of color to the room. 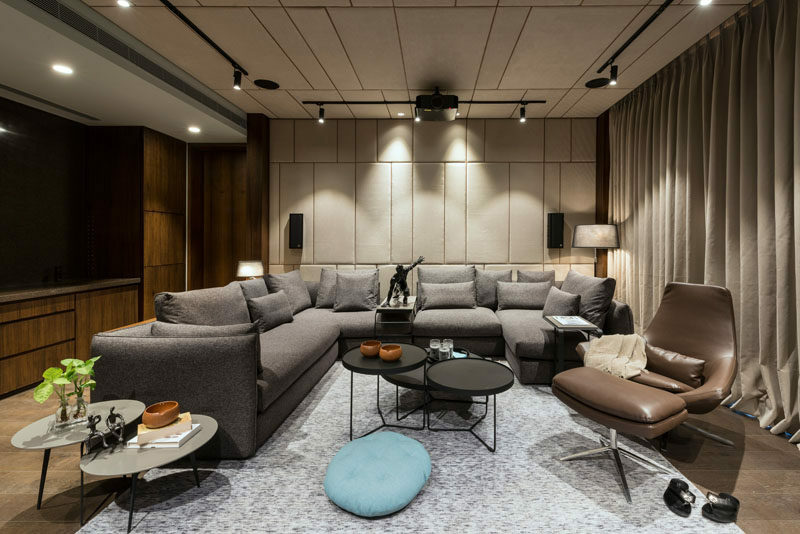 The home also has a media room that uses dark tones in the furniture, fabric clad walls and ceiling, and track lights, to create the desired theatrical experience. 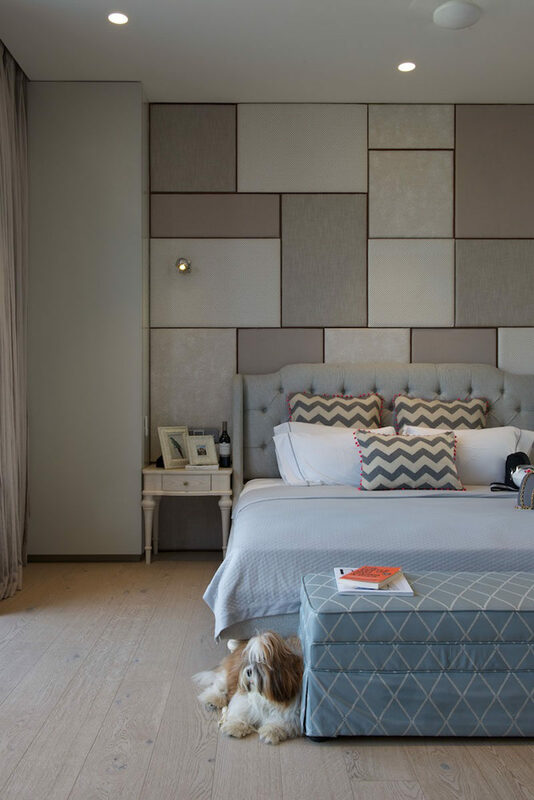 One of the bedrooms in the home features muted tones that help to create a calming atmosphere. 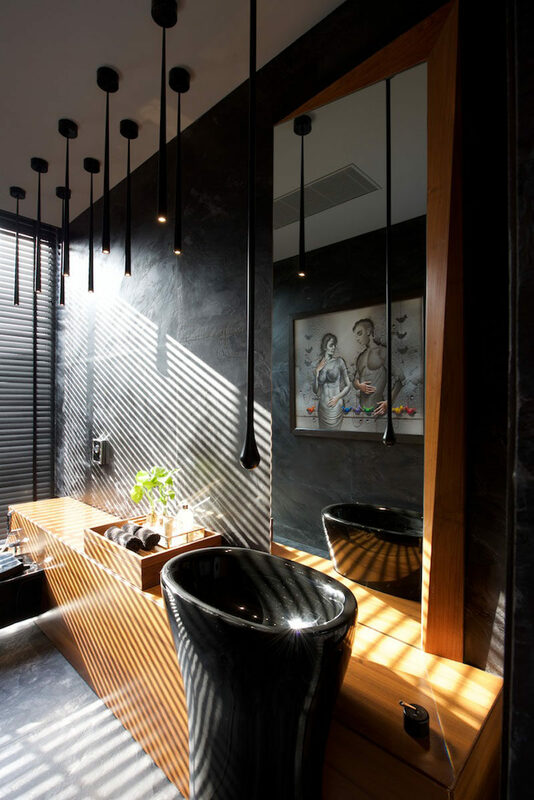 In one of the bathrooms, black slate covers the walls and has been paired with rich wood for a modern and dramatic look.